BALTIMORE, MD. — eOriginal, the digital transaction experts, and Topaz Systems Inc., a global leader in electronic signature technology, celebrated their 10 year anniversary of eSignature partnership today. Over the past decade, the duo has collaborated successfully to provide wide-ranging benefits to our mutual customers. The eOriginal-Topaz relationship emerged during the dawn of the eSignature era, when adoption of eSignature technology was met with uncertainty due to legality concerns. Together, eOriginal and Topaz worked to bring compliant technology solutions and peace-of-mind to the customer. Ten years later, the partnership has enabled businesses across industries with a proven product that provides Uniform Electronic Transaction Act (UETA) and Federal Electronic Signatures in Global and National Commerce Act (ESIGN) compliance. 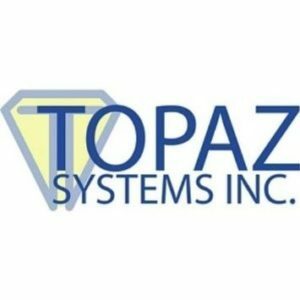 Topaz Systems is a leading developer and manufacturer of electronic signature software and hardware, and has been based in Southern California since 1995. Topaz provides all the hardware, software, intellectual property and expertise to enable paperless document creation, signing, and authentication of electronic forms with digital handwritten signatures. Topaz has developed an extensive eSign patent portfolio, and is the recipient of multiple industry awards including being a multiple consecutive winner of the Deloitte Technology Fast 50 and Fast 500, along with Inc 500 and 5000 awards for outstanding growth.